Sawasdee-Krub! Welcome to Thailand's original beach resort destination, Hua Hin. Only 2 hours drive from Bangkok, stay at Hua Hin's best beachfront Resort offering an amazing variety of activities for adults and children. 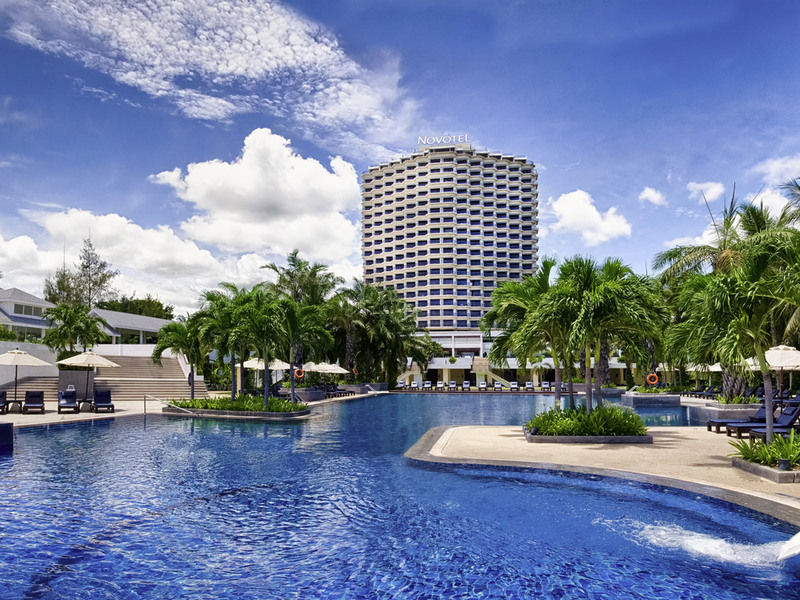 Travelling to Hua Hin Then be sure to check into Novotel Hua Hin Cha Am Beach Resort and Spa the 4 star international hotel in Hua Hin Cha Am.Modern simplicity peacefulness a perfect hideaway for your family getaways. High-rise hotel with unrivalled panoramic sea views from every room. Well designed for comfort the rooms feature all the usual amenities.All rooms have balcony with stunning Ocean view a desk LCD TV with international channels internet access charges apply fridge tea and coffee making facilities and safe. Home to a selection of fresh pastries, sandwiches and gourmet coffee. Enjoy at Le Cafe or have it to go. Le Cafe also offers a delightful selection of healthy fresh fruit smoothies, gourmet ice-creams and desserts. Start the day with a sumptuous breakfast buffet with ocean view. Discover authentic Italian cuisine in Hua Hin at Ocean's Italian Seafood Restaurant. Our Chefs have blended the traditional cuisine from Italy, with Thai flavors and ingredients. Relax by the swimming pool with a giant water slide to soak up the sun while enjoying beverages and light snacks located next to Kids World.